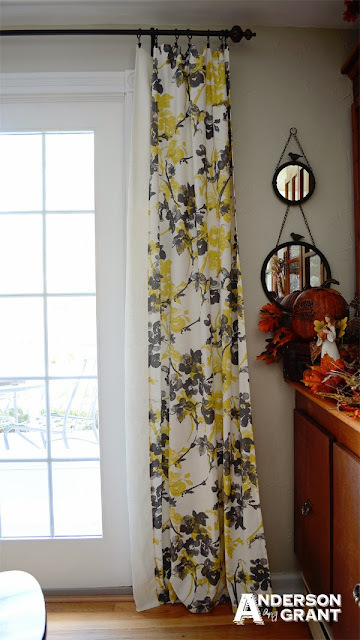 I wanted to share with you the fabulous DIY curtains my mom made using a tablecloth from Target. 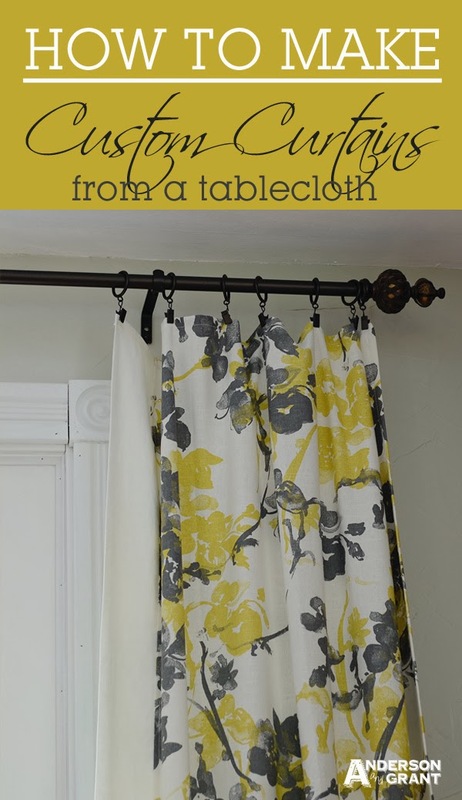 We couldn't find fabric we liked anywhere, but were drawn to the pattern on the tablecloth. She purchased it knowing somehow she could use it to make curtains. Unfortunately, she was also only able to order one (and the nearest Target is an hour and a half away), so her DIY skills were really put to the test. 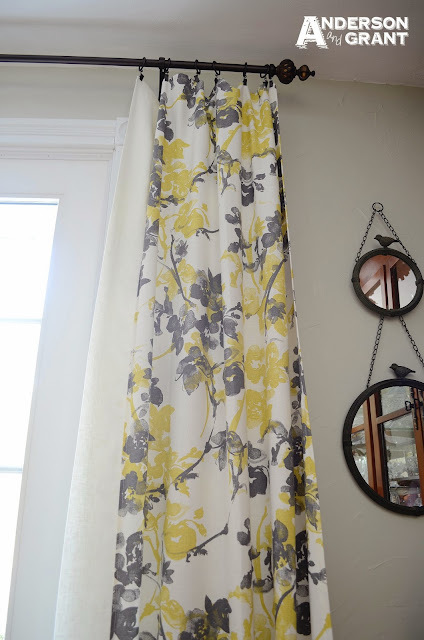 Making these custom curtains could not be easier, though. The tablecloth was the exact length, floor to ceiling, that was needed (meaning no extra hemming!). The curtains are just dummy panels surrounding the exit to the patio, so they didn't need to be wide enough to cover the entire door. 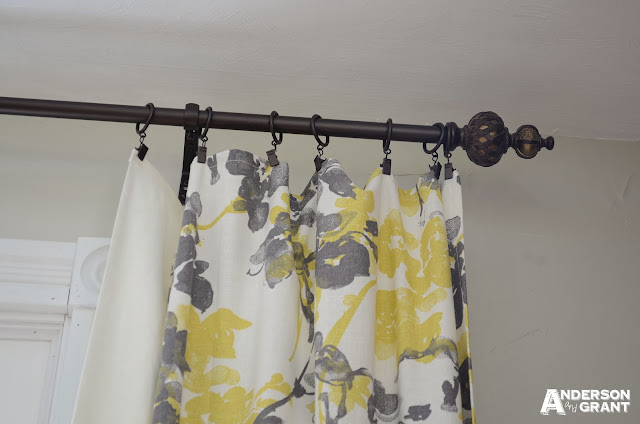 In order to make the curtains a little wider and more substantial, though, she purchased 2 1/2 yards of a cream colored linen from JoAnn Fabrics to use as a band down the side. 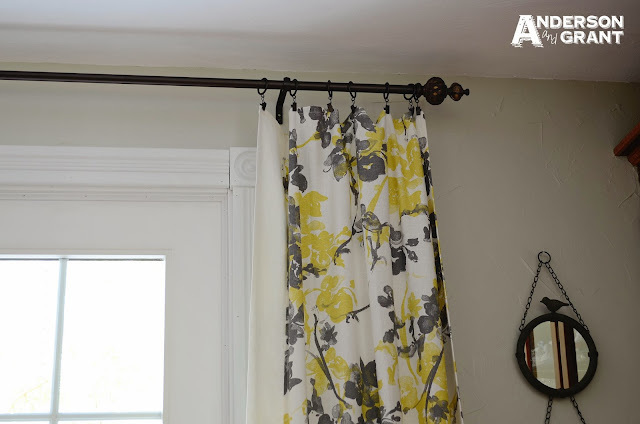 The curtains are hung with curtain clips, so there was no need to make a rod pocket at the top. The fabric from the tablecloth is quite heavy so the curtains drape nicely. Since they are only being used decoratively, the fabric did not need to be lined. 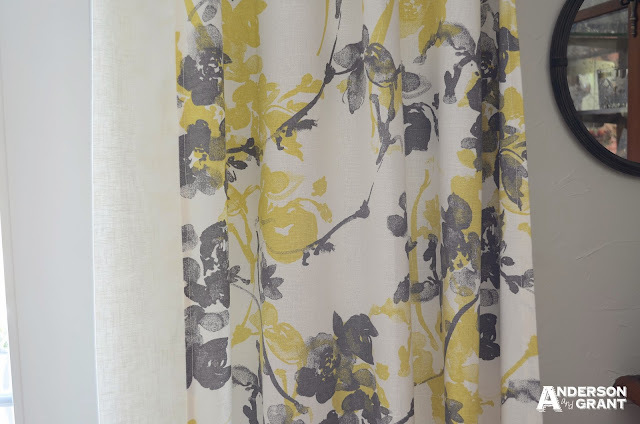 I love that no one else has these exact curtains with the white band down the side (although, believe it or not, Target now does sell regular curtains in this pattern!). They were also very economical compared to buying curtain panels. The tablecloth was on sale for about $15, and the linen was probably about the same price. Sometimes you really have to look past the intended use of something, and see what it could also be used for. I think my mom came up with a very creative solution....What do you think?